Bob has over 20 years of experience in financial services and is both a CPA (Certified Public Accountant) and a CFP (Certified Financial Planner). He received his undergraduate degree in Accounting from the University of Georgia and his master’s degree in Finance from Georgia State University. He is a member of the American Institute of Certified Public Accountants (AICPA), the Georgia Society of CPA’s, and the National Association of Tax Preparers (NATP). Bob is also active on the board of directors of the Financial Planning Association of Georgia. His professional experience includes accounting and finance experience at the Lockheed Georgia Company, Healthdyne, Automatic Data Processing (ADP), and The Weather Channel. 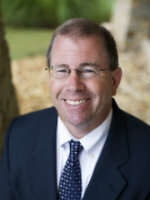 Bob and his wife Teresa have lived in the Johns Creek area for over twenty years. They are the proud parents of a daughter and son who both enjoy playing lacrosse. Bob is active in his community serving on various committees and the board of directors in his subdivision. He is on the board of directors of the Rotary Club of Johns Creek and is part of the Leadership Johns Creek Class of 2013.